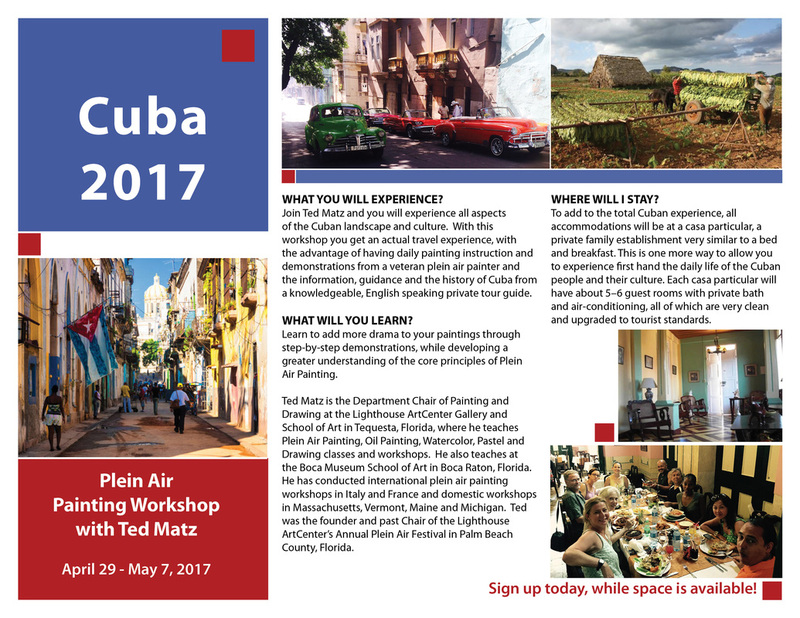 Picture Yourself painting the sights and vibrant colors of Cuba. Experience the charm and friendliness of the Cuban people. Enjoy developing new friendships and sharing your experience with a small group of painters. Proceeds partially benefit the Lighthouse ArtCenter, a nonprofit organization and the donation is tax deductible.